The report “Concentrated Photovoltaic Market By Concentration levels (High and Low), By technology (Refractor and Reflectors), By Application (Utility-Scale, Commercial, and Others) & By Geography- Global Trends and Forecast to 2019” defines and segments the concentrated photovoltaic market with an analysis and forecast of the revenue. The concentrated photovoltaic market will grow from an estimated $789.1 million in 2014 to $1,514.4 million by 2019 at a CAGR of 13.9% from 2014 to 2019. Browse 57 market data tables and 31 figures spread through 167 pages and in-depth TOC on "Concentrated Photovoltaic Market By Concentration levels (High and Low), By technology (Refractor and Reflectors), By Application (Utility-Scale, Commercial, and Others) & By Geography- Global Trends and Forecast to 2019"
Coupled with rapid industrialization and shifting of industries in other regions towards Asia-Pacific, this region has witnessed exponential growth in industrial activities, which has resulted in huge amounts of generated industrial waste. This substantial amount of generated waste requires effective processing and disposal to minimize environmental hazards. However, as existing industrial waste processing systems are inadequate, the region is expected to witness huge investments in the waste recycling and services industry. 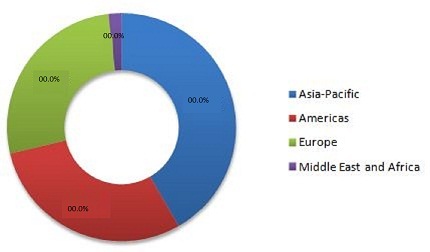 The concentrated photovoltaic market in Asia-Pacific is expected to grow at a CAGR of 11.3% between 2014 and 2019. HCPV dominated the concentrated photovoltaic market and accounted for almost 93.4% share of the total market in 2013. It is expected to witness a strong growth due to the increased dedicated approach on the part of the industry for better efficiency output. The biggest market for HCPV is Asia-Pacific, followed by Americas, Europe, and the Middle East & Africa.